International Paralympic Committee (IPC) President Sir Philip Craven (pictured) has said that with one year to go, the London 2012 Paralympic Games could be the best yet and hopes one of its legacies is a greater understanding of the Paralympic Movement. A record number of 4,200 athletes from 150 countries are set to compete in London and Craven believes the Games will act as a watershed moment for the Paralympic Movement. 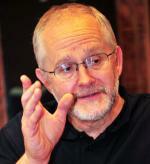 IPC President Sir Philip Craven said: "The London 2012 Paralympic Games will quite simply be `Sport Like Never Before'. Our elite athletes will captivate billions around the world, will inspire millions, and ultimately lead societal change and help alter perceptions of what can be achieved by a person with an impairment. "We are now one year away from London 2012. The excitement is building by the day, and as we get closer, I truly believe that London 2012 is shaping up to be just as good as Beijing, if not better. "London also has the unique opportunity to be a truly global event - not just in terms of athletes and countries taking part - but spectators and TV viewers. "The city is a short journey from many European cities and also home to many large international communities. "Therefore, next year I don't think it will just be the British athletes who will enjoy the passionate vocal support that a home crowd brings." More media than ever before are expected to attend the London Games and it is anticipated that the number of TV viewers will top the cumulated audience of 3.8 billion that tuned in for the Beijing Paralympics. Craven hopes more exposure than ever before for the Paralympic Games will lead to a greater awareness of the Agitos, the symbol of the Paralympic Movement and what it stands for. Sir Philip Craven said: "I want more people to understand the IPC's objectives for organizing one of the biggest multi-sport events in the world. "Our symbol represents our role in bringing athletes from all around the world together through the Movement, whether that be through grassroots sport or the elite level. "There is no greater showcase then to do it in front of millions of spectators and billions of TV viewers at London 2012." Around 2 million tickets for the London 2012 Paralympic Games go on-sale on 9 September and Craven is delighted at their pricing structure - three quarters are under £20 - and the interest in buying them. Sir Philip Craven said: "One of the most pleasing aspects for me personally is the enthusiasm and hunger people are showing in the London 2012 Paralympics. "This is underlined by the fact that so far, more than one million people have registered their interest in buying tickets. We've also seen unprecedented demand from our international partners. "This ticket revenue, combined with income from sponsorship and broadcast sales will ensure that the London 2012 Paralympic Games are the most profitable yet." On 8 September, the day before tickets go on sale, the London 2012 Organizing Committee (LOCOG) will stage International Paralympic Day in Trafalgar Square, London. All 20 Paralympic sports will be on display with demonstrations in 10 of them. Nearly 100 athletes from all around the world including the likes of Oscar Pistorius, April Holmes, Jerome Singleton and Eleanor Simmonds will be there to engage with the public. "All the activities that take place between now and next year's Closing Ceremony will raise interest levels in the Paralympic Movement to a new high," added Sir Philip Craven.